[sigplus] Critical error: Image gallery folder eyes/Intrinsic is expected to be a path relative to the image base folder specified in the back-end. Intrinsic Dance Company was formed in August 2008. 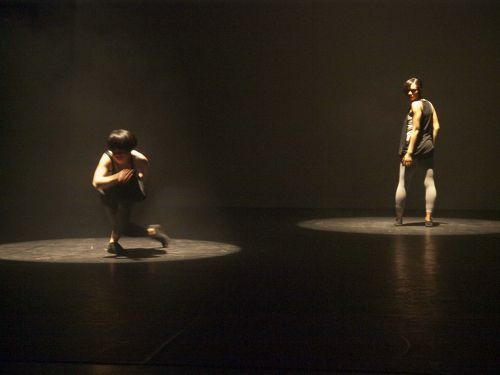 The four founder members first all met in 2006 while taking part in a project which resulted in a site-specific dance piece performed in the National Portrait Gallery for FYA festival 2006. ‘Is this your journey…?’ continuously asks the audience whether they have felt trapped by certain negative situations in the journey we call ‘life’ and allowed it to oppress them. Or whether they have strived to battle their inner demons and think positively in order to get round these obstacles and create a pathway that is clear and easier to get through. We each in turn face our own personal ‘struggles’ whether it be the sometimes turbulent relationships they have with other people in their lives, coming from a broken home or bereavement. they use their physicality to provide challenging obstacles for one another to battle against and also use a succession of contact work to convey their individual struggles getting the better of them and pulling them under. So the question remains, can we get through our struggles and continue onwards through their journey or will it continually oppress us? A question only the audience can answer for themselves. Choreographed and performed by Feyi Babalola, Joycelyn Chung, Vineta Mitchell and Zy Estrella.